Imagine, for one far-fetched second, that you’re a pilot in the early fifties. There’s no GPS to rely on, no LCD screens to pinpoint your location and no highly-advanced tech to relay and regulate everything from your fuel consumption to your ground speed. 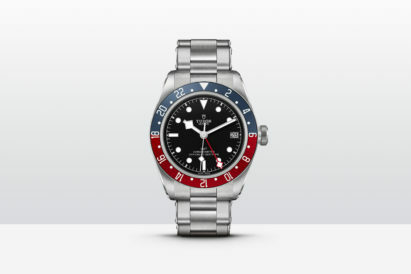 All you have are the dials on your dash and the watch on your wrist to keep you safe at 30,000 feet. It was a lot of responsibility, and an opportunity to create that Willy Breitling and his team of Swiss specialists leapt on, taking on the challenge of creating an accurate way to assist with all the calculations pilots have to do whilst airborne. 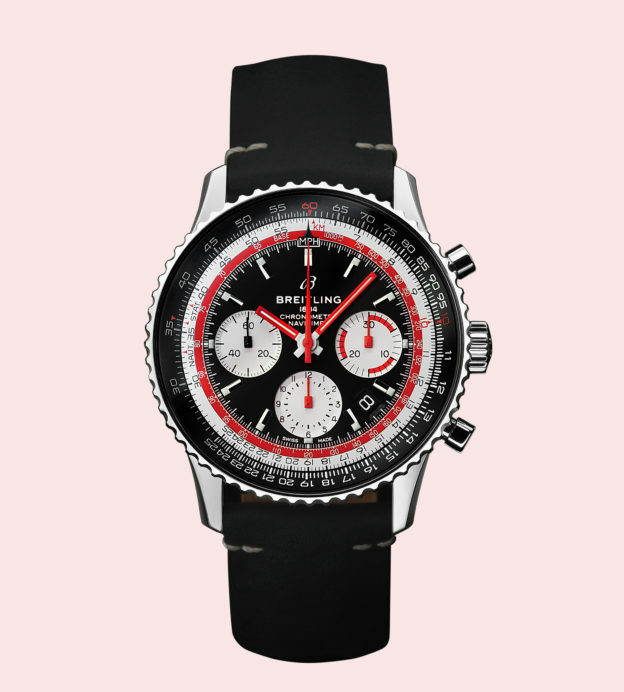 The slide rule, with its three scales, first appeared on the Breitling Chronomat in 1940. It was, essentially, the first computer you could strap to your wrist — and made these calculations considerably easier. 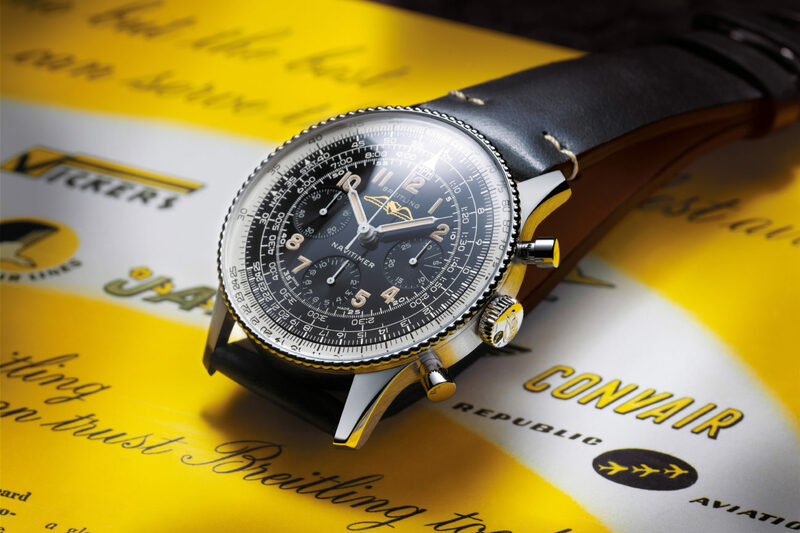 The model was so trusted by pilots of its time that it became the official watch of the Aircraft Owners and Pilots Association (AOPA) — which is why some older models bear a shield with wings replacing the flying B logo. But the evolution wasn’t over just yet. Moving forward, to 1969, Breitling introduced their first in-house movement, the Calibre 11. This new movement was developed in association with TAG Heuer and was one of the first automatic chronographs ever produced. Unfortunately, in the seventies, the quartz crisis hit and Breitling suffered along with the rest of the Swiss watch market. Willy was forced to sell his company and production was shut down for a brief time — however, the brand was bought by aviation enthusiast and watchmaker Ernest Schneider, who swooped in to save the day. Wind forward to 2003 and the brand was starting to take inspiration from its past. They re-introduced the Chronomat in a historically accurate 49mm case — but with the addition of modern parts and components. 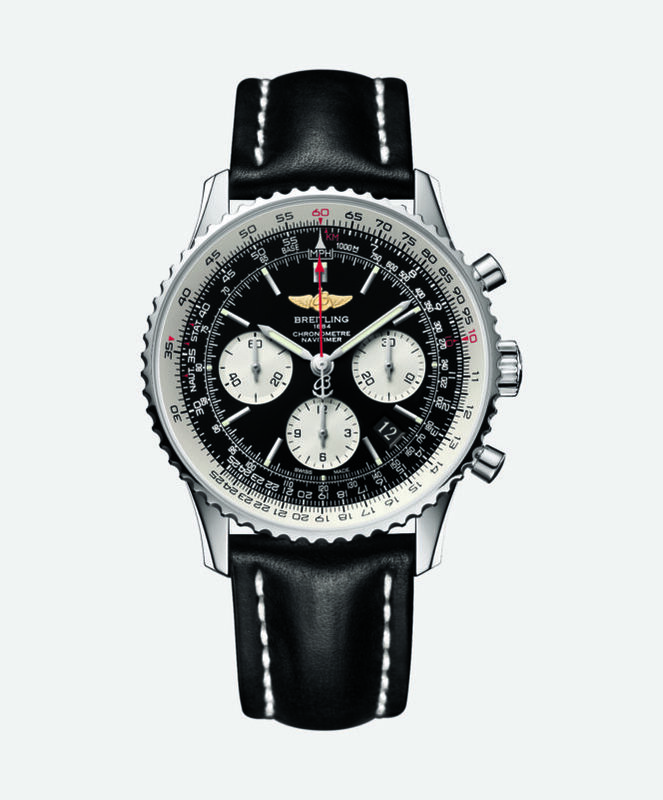 2009 also saw a notable step forward in the evolution of the Navitimer. Some serious innovation saw the 01 Movement introduced, a calibre made completely in-house and to a chronometer standard. This movement was put inside what is possibly the most recognisable of the watches Breitling have produced during their history; the Navitimer B01. Available in 39mm and 41mm styles, the 43mm option remains the most popular, with its eye-catching reverse panda dial. 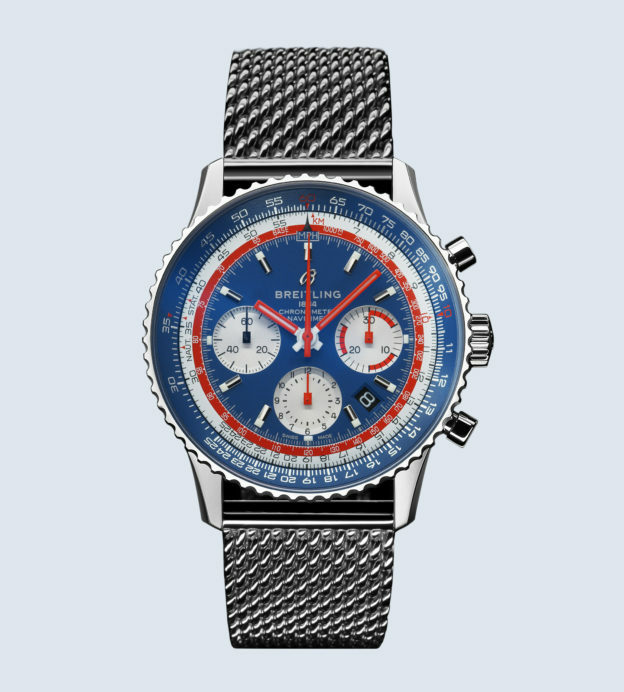 And this model is so loved by pilots the world over that Breitling have produced many airline-specific editions, for everyone from Swissair to Pan Am. 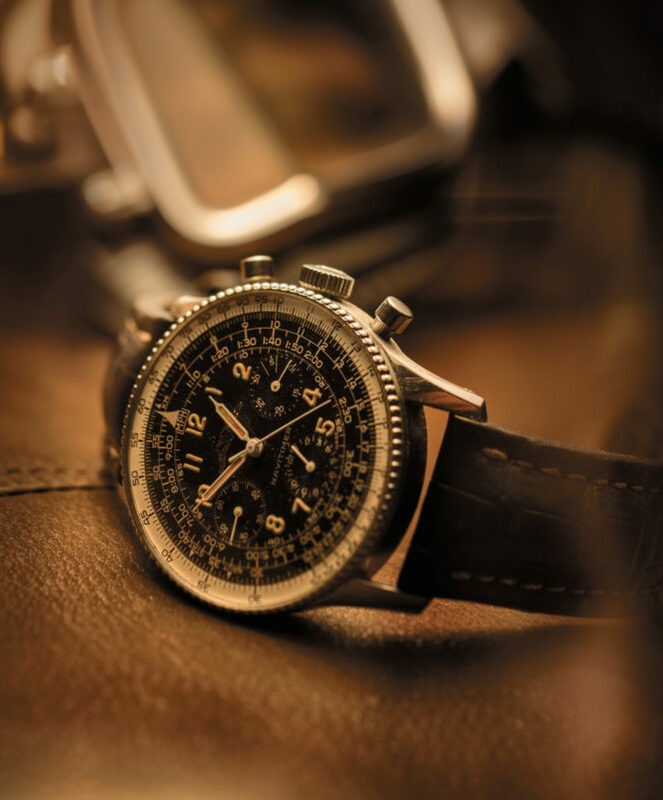 Last year saw a shake up at Breitling, as new CEO, Georges Kern launched the Navitimer 8 collection. A new family of watches, these timepieces were inspired by the Huit Aviation Department first introduced by Willy Breitling. And, while they may have their inspiration footed firmly in the airborne heritage of the brand, these watches were truly modern in both design and components. It was the brand’s latest step towards modernisations — while keeping an eye on their ideals and identities of years gone by. 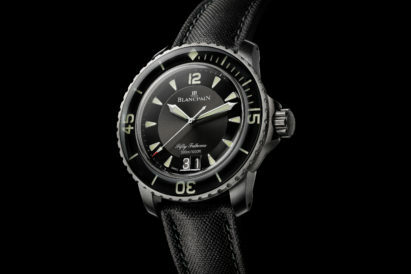 Today, the brand announced their latest historic timepiece; a re-introduction of the Ref: 806. 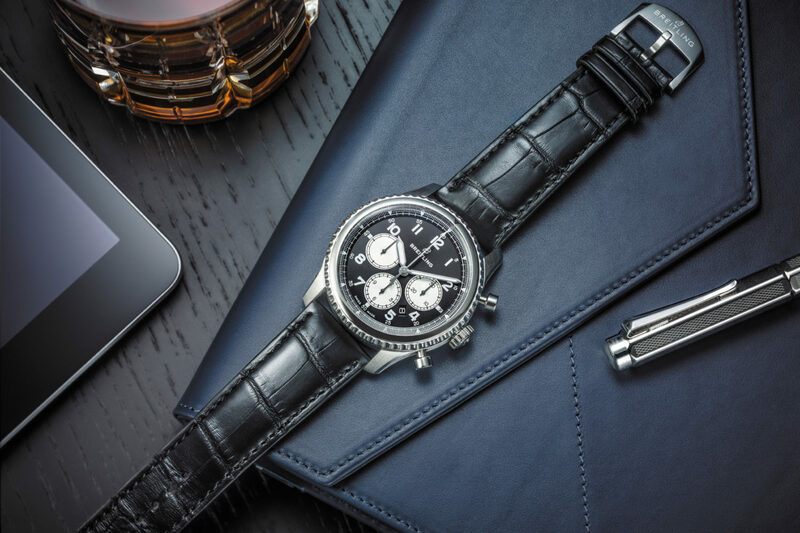 To create this watch, Breitling studied the old 1959 model and worked painstakingly to precisely recreate it. From the 40.9mm stainless steel case to the domed Plexiglass crystal, they’ve done a hell of a job. Even the lume use has been patinated to give it the look of a watch of the past, one that hasn’t just left the workshop and has flown mission after mission to get where it is today. 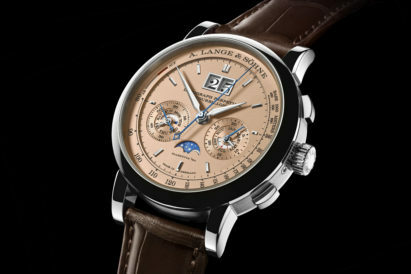 And, with the storied evolution of the watch, and the many timepieces that came before it, in a way it has done just that.